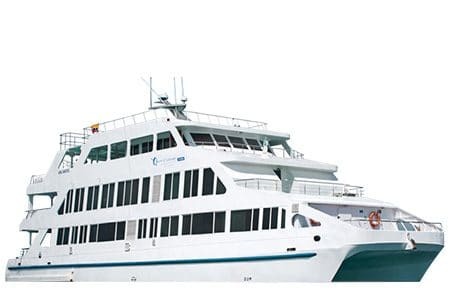 You will be delighted aboard the Queen of Galapagos; a 16-passenger catamaran engulfing your every sense with panoramic windows showcasing the Galapagos Islands. Modern, spacious and equipped with massive scenic windows, vast exteriors and hand picked naturalist guides taking guests through a unique discovery of the islands. 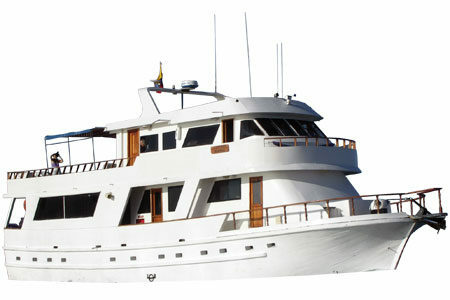 The Majestic Galapagos Yacht is part of the newest fleet of cruises available in the Archipelago. 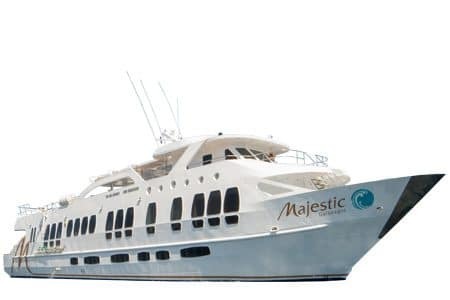 Wide panoramic windows throughout the yacht and top of the line facilities are only but a few of the many benefits the Majestic holds. 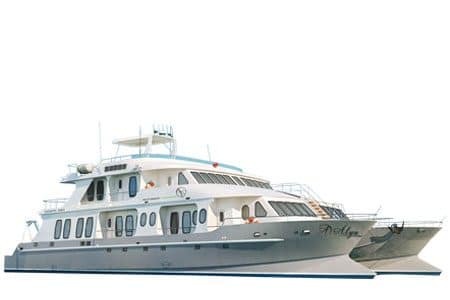 Specifically built to cruise the Galapagos in 2013, the Majestic Galapagos Yachts seamlessly blends modern facilities with a personalized approach for 16 fortunate guests. 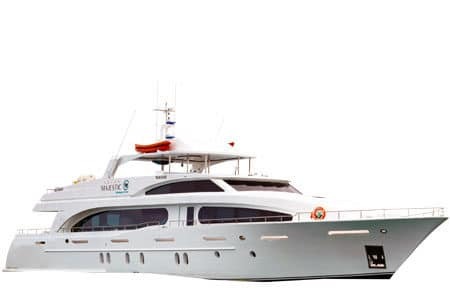 Public commuting spaces include a large sundeck, jacuzzi and various lounge areas throughout the yacht. 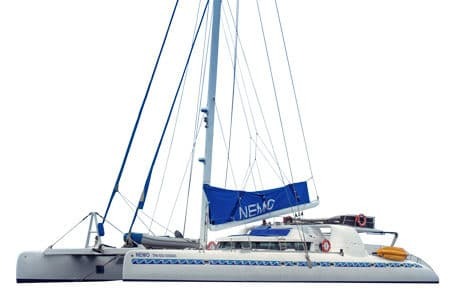 Accommodation is available in nine spacious double cabins found on the lower and main deck. Itineraries are the cherry on top, an assortment of programs that range from 4 to 15 days including must-see islands likes Genovesa & Fernandina. 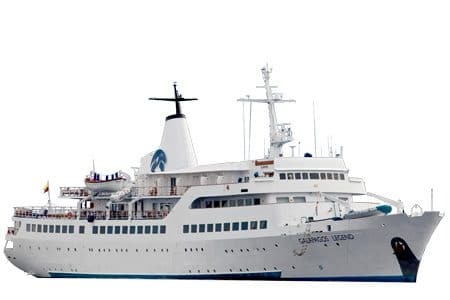 It goes without saying guests will be delighted with the welcoming crew & guide, highly experienced and qualified to provide you with the best Galapagos experience.